Batch cooking means you’ll cook less often. Don’t really like cooking or squeezed for time? With batch cooking, you cook a TON of food once so you can have quick and easy healthy meals throughout the week. You can focus on fewer recipes and spend less time in the kitchen and more time with family and friends. 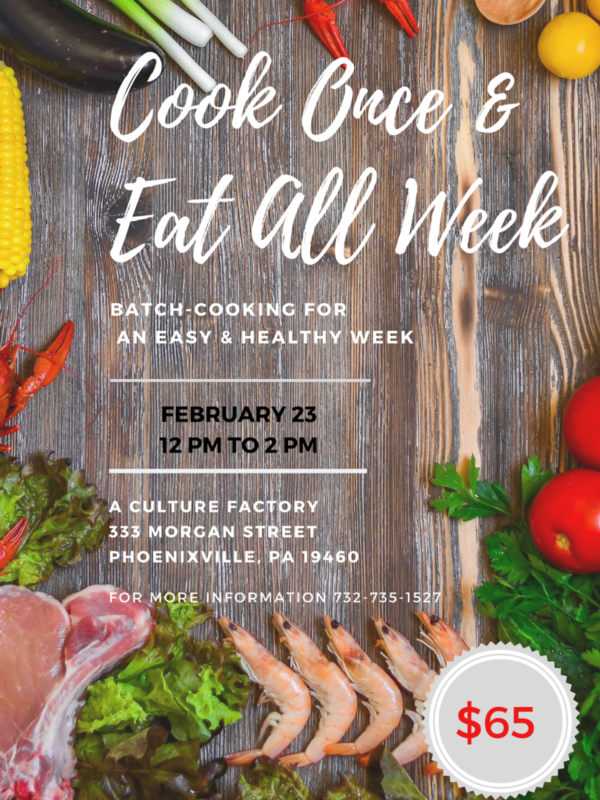 Would you like to know how to prepare a week’s worth of delicious, creative & healthy meals in just a few hours of cooking a week? 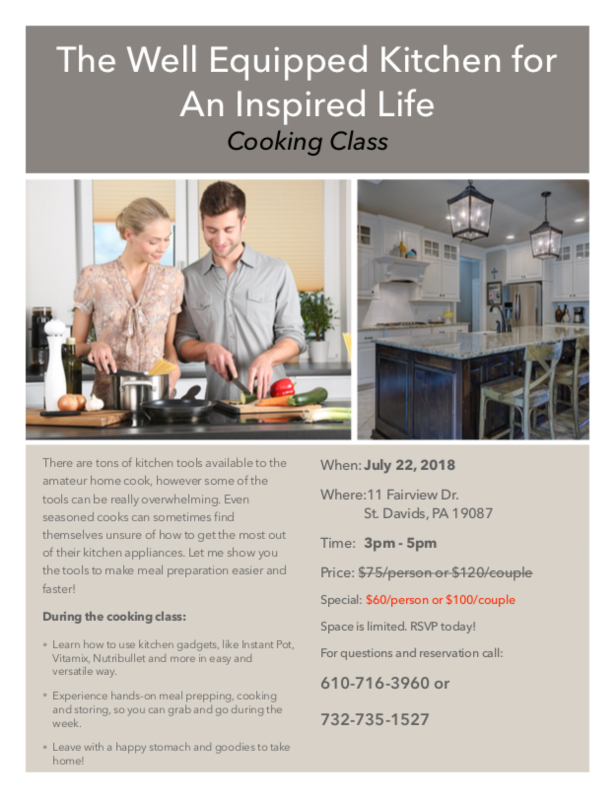 Join our hands-on cooking class in a fun and creative atmosphere. You’ll learn a selection of basic recipes, along with easy variations and “remix” suggestions that will help you turn those recipes into delicious dinners throughout the week, no matter how late you get home from work! You’ll go home with a booklet of the recipes you learned in class, along with storage-and-reheating instructions so you can enjoy an incredible home-cooked dinner every single night of the workweek. Space is very limited – sign up today! FREE to the public, but seating is limited. Please, RSVP to secure your seat today! 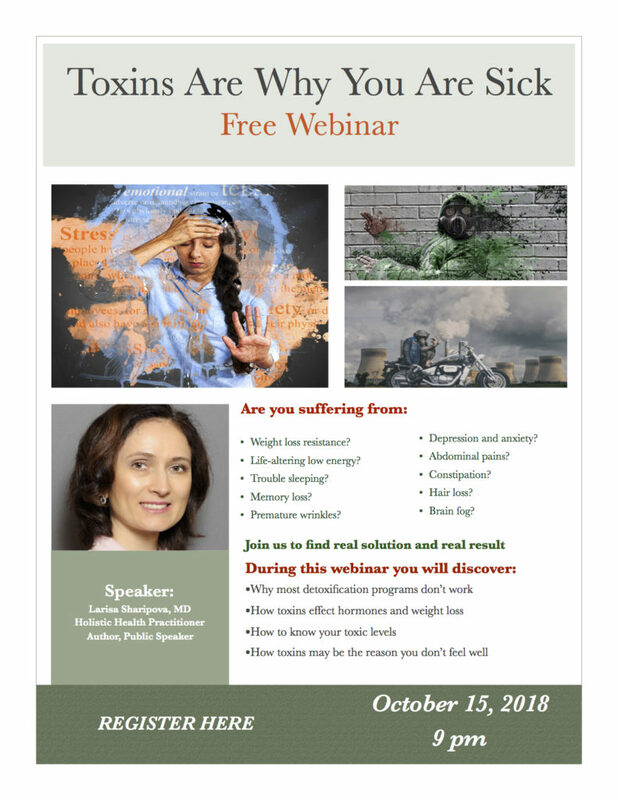 It is a free webinar but spaces are limited. Please register earlier to reserve your seat. There are two times available for your convenience. Do you ever feel sick, tired or in pain but your doctor tells you that it’s just in your head? Do you go from one specialist to another but can’t find a solution to your health issues? It’s not your fault. Millions of people are suffering from physical and mental problem but don’t know WHY? Today, you have an opportunity to change your life. You can regain your health and happiness by listening to your body. 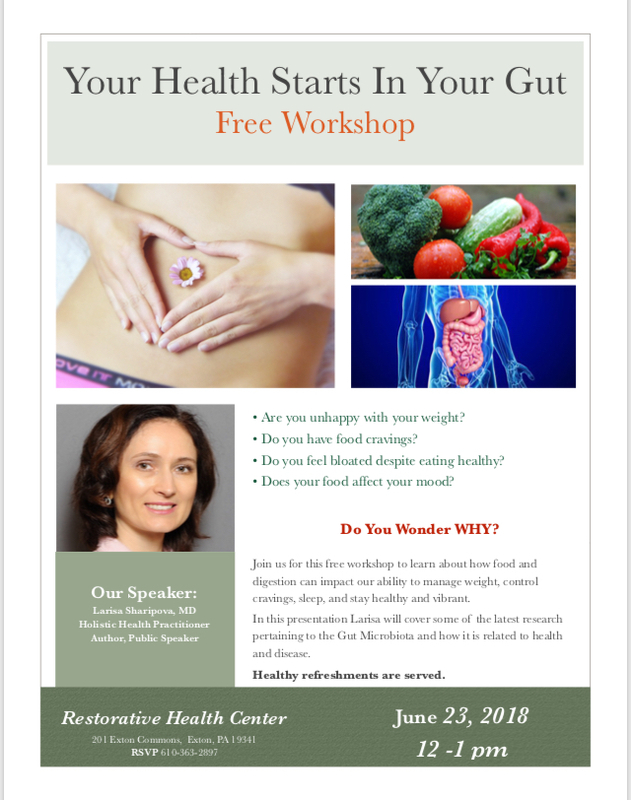 Come learn from Larisa Sharipova, MD, Holistic Health Practitioner and Author of new book “Listen to Your Body and Regain Your Health” about a drug free, evidence-based approach that has helped many people feel themselves again. Evening of romance in the kitchen. 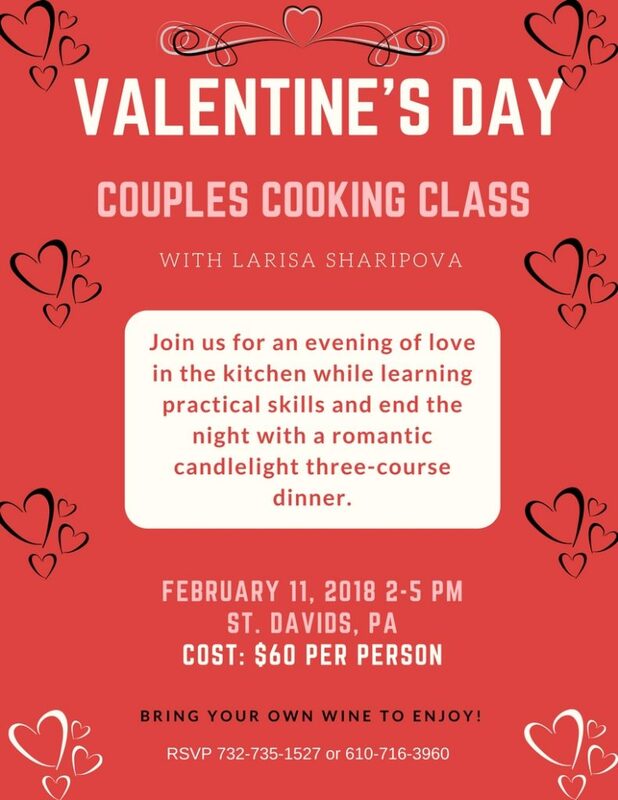 Come join our couples cooking class and pick up some five star recipes, learn practical kitchen skills and end the night with a romantic candlelight dinner. Working alongside your Valentine, our instructor will walk you through a culinary celebration of Valentine’s Day. Discover together how romantic and fun it is to cook together. At the end of class, you’ll enjoy a menu full of authentic and delicious courses. The goal is to unite couples with easy recipes that encompass a lot of flavor of an aphrodisiac food. The class gives couples the opportunity to mix things up and use team work to produce a delicious meal. Space is limited to 4 couples only. 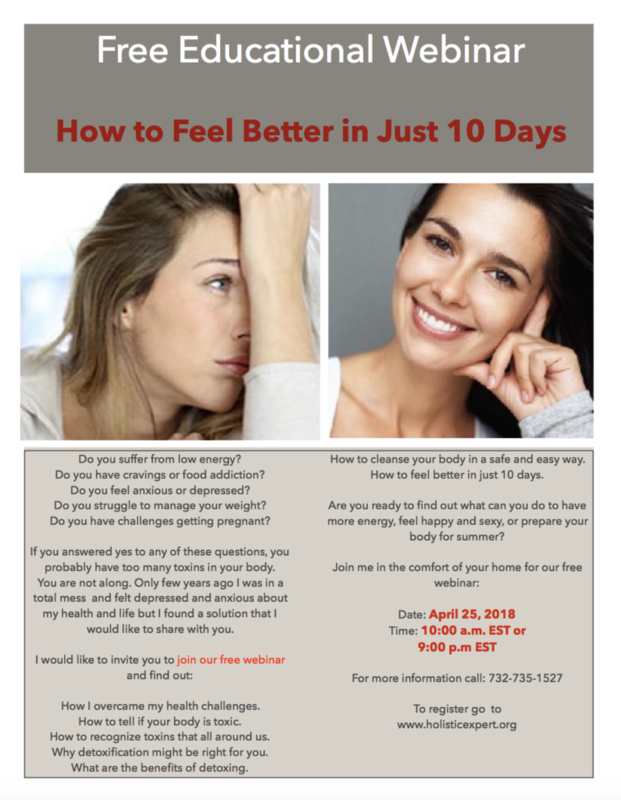 Are you ready to feel better in just 10days? Do you suffer from low energy? Do you have cravings or food addiction? Do you have challenges getting pregnant? you probably have too many toxins in your body. prepare your body for successful conception? Don’t look and feel like yourself? Want to fit in your old skinny jeans? Learn why diets don’t work. Discover a safe way to drop pounds and feel fully satisfied. Explore how to bring your body back to shape without deprivation. Learn why diets are not the solution for weight loss. Do you crave sweets and want to understand why? Do you have low energy in the middle of the day? 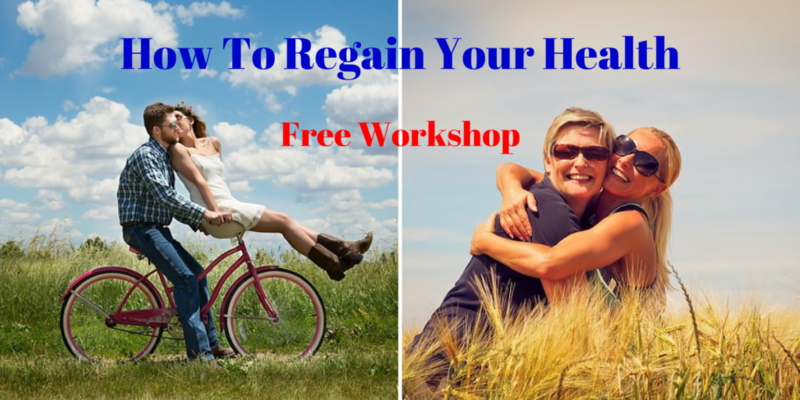 This workshop will be a turning point in your life. Permanently change your relationship with sugar. Leave this class understanding the causes of your sugar cravings. Receive practical tools for dealing with them. It’s not about deprivation. It’s about freedom – the freedom to eat foods you love and have sweetness in your life without the side effects or the guilt.